We will be spending the two weeks leading up to the Fall 2011 class session prepping the workroom and getting things together for the up-coming ten-week session. Getting the rest of the estate settled. Getting the workroom set up for classes. 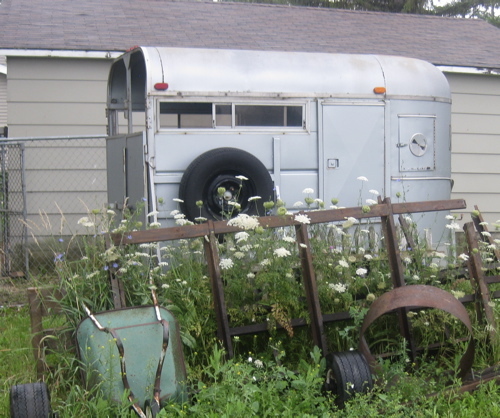 We have started a new blog called Rural Pursuits to cull information about rural living. Stay tuned. We will be working on the class schedule for the next two quarters (Winter and Spring 2012). Email and general blog & Web stuff. Tchad will be developing more with his personal blog and should be able to introduce the Wrought blog by the end of September. There is a short video instructional series that we have been invited to work on. It is a series that gives short creative video tips to working business women. We will be able to tell you more about that in the coming weeks. 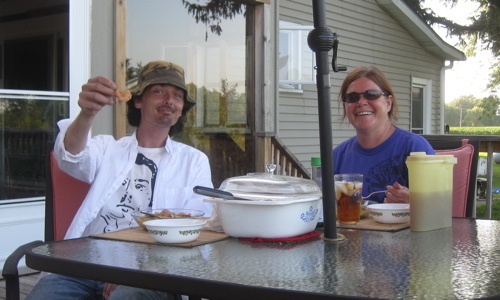 We will be putting our clothing business on hold for the next few months, so will not be taking consults or orders until at the very earliest late Spring 2012. This is going to delay the roll out of the design blog, but we want it to be right, not just published. So it is a fairly straightforward couple of weeks for us up here at Tchad. Stay tuned for more. or you can text us at: 773.680.5914. This should be an exciting Fall and Winter! Let’s see what we can make happen! We have our hands in a bit of everything – especially when we aren’t actively designing or teaching. We are organizing a book drive for the Books for Women in Prison, a non-profit that helps women in prison with their rehabilitation. We spent a few weeks at Getaway Farms in rural Wisconsin. Cyndi is setting up a non-profit that helps troubled kids with responsibility through animal therapy – horses specifically. 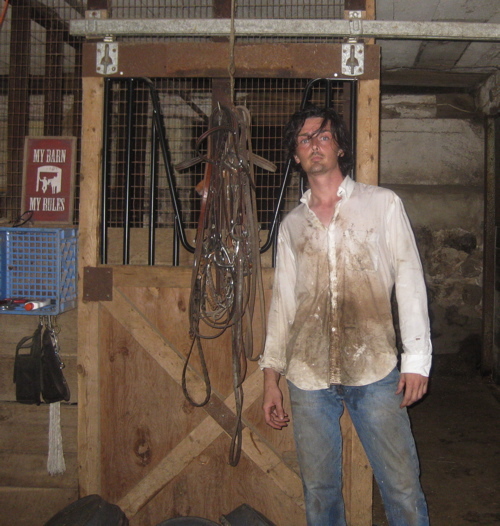 We spent some time researching horse training in Southern Indiana. We ended up baling about 1600 bales of hay. You can bet Tchad is never this filthy at the workroom! 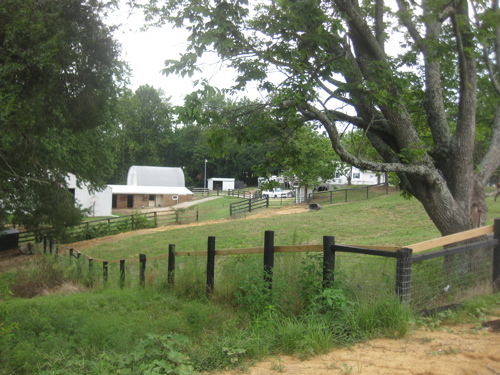 A view across the horse fields and pasture. 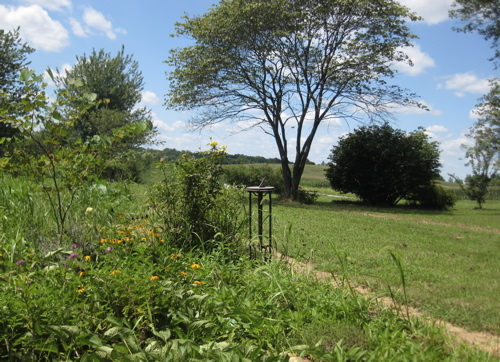 Part of the field restoration work at Tchad's farm in Southern Indiana. 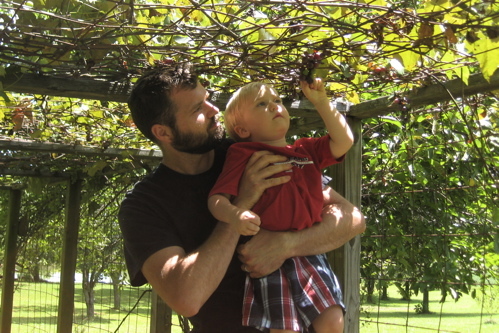 Honestly, you can't name your son Bacchus and NOT have a picture of him picking grapes, now can you? 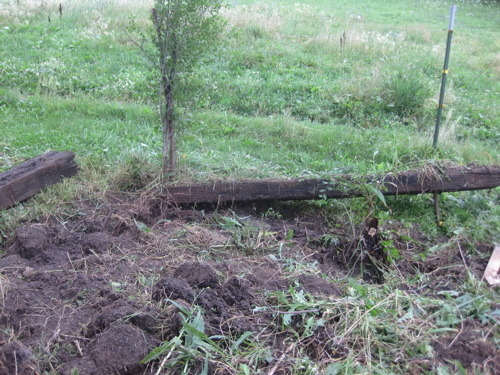 There were about 25 sunken railroad ties at Getaway that needed to be removed for both safety and æsthetic reasons. Tchad Moving Railroad Ties. 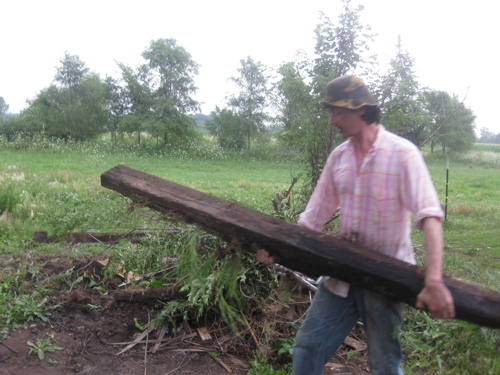 The most unforgiving, back-breaking work is prying up long, dense, wet railroad ties. We are surprised that Dante didn't include them in one of the rings! Kids were amazed at the infrastructure of the farm - they had no idea how water was collected and used. 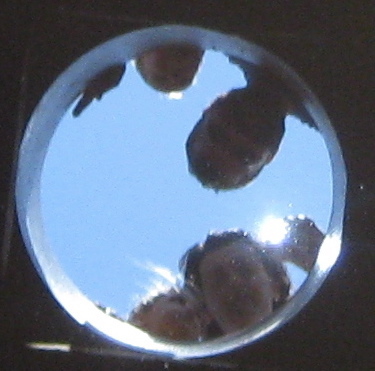 This is looking into a large cistern. Farm work is often a lesson in entropy - if you let up, then everything starts the process of falling apart and you have more work that you would have otherwise. It is a really good lesson for city kids to learn. Become a fan of our page on Facebook as we rebuild our business and redefine its core! The week of the 27th through the first we will be focusing on getting the rest of the workroom clean and ready to go for classes in the fall before we shut down for a much needed sabbatical. There are a lot of things Tchad is doing for an Estate he is working on that will need to be done first, so if you are in the market for religious antiques or memorabilia you may want to check out his Ebay profile. It has been since March. We had to drop the blogs because of a death in the family. The process hasn’t been fun. If you want to read more about that you can do it on Tchad’s personal blog. But as of now, the blogs are back up and running! We are re-structuring the business to deal with classes entirely. There will be no clothing or design projects for a while as we deal with the personal and professional fall-out of a life change like this. So enjoy the blogs and let’s see where this takes us!